On the way home from work I made a detour down through Cow Bay stopping at Cowichan Bay Seafood to pick up something for dinner. 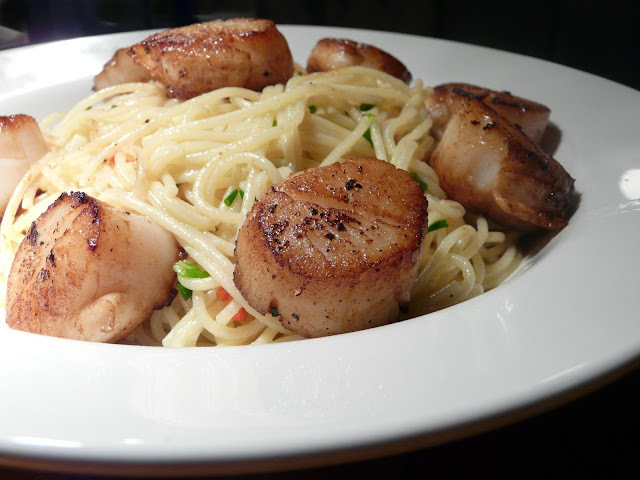 Since we had just had halibut a few days ago I went with fresh scallops. 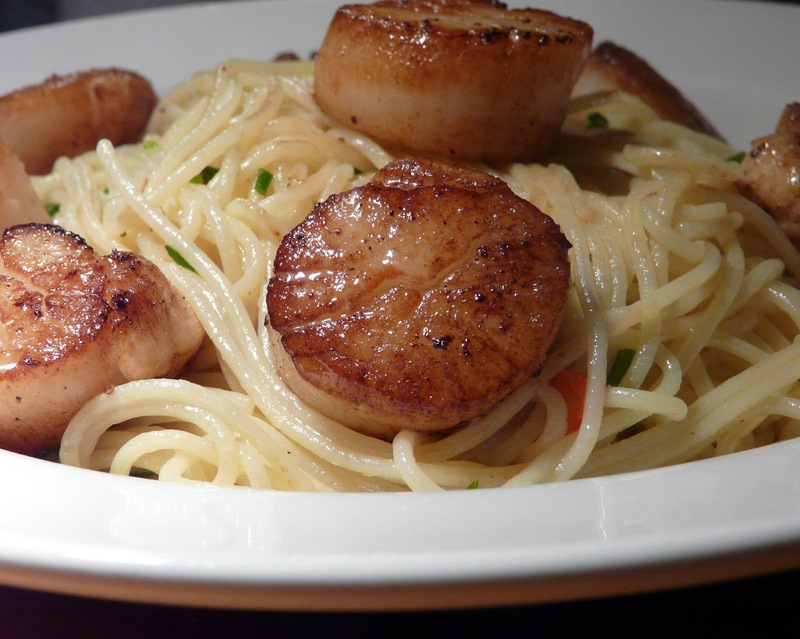 Scallops are not my favourite but Moe loves them. Dinner was one of those very easy, quick to put together meals. It took longer for the water to come to a boil than it did to cook dinner. in a little butter and olive oil. a thinly sliced hot red chili pepper. 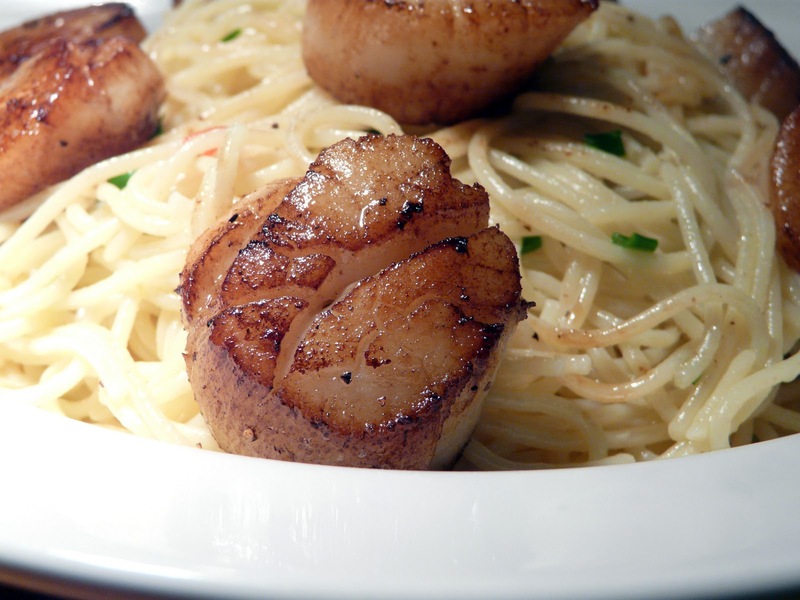 Seasoned with salt and pepper, plated and topped with the scallops. Living in the interior of BC in the Okanagan we are lucky to get the freshest seafood possible thanks to the sustainable fisher"woman" who trucks in crab, spot prawns and anything else she can catch. That sounds extremely delicious! I love scallops. After seeing this recipe yesterday I decided to make it for lunch. It was delicious quick and easy to do and we really enjoyed it, thanks for sharing your wonderful recipes. Your bread photos are wonderful. I am baking french baguettes right now and I found your photo on FoodGawker. Thank you for such beautiful looking bread loaves! OMG Ann those pics are making me drool. Makes me wanna cook...Today my dinner was perogies. I thought it was pretty good for here till I saw your site.. Now I'm craving biscuits. I sure hope my stuff gets here soon. I am moving into a new place in the next few days. It is a nicer place and cheaper. Then I hope my bed comes soon! thanks again for the cutting board, it's gorgeous!